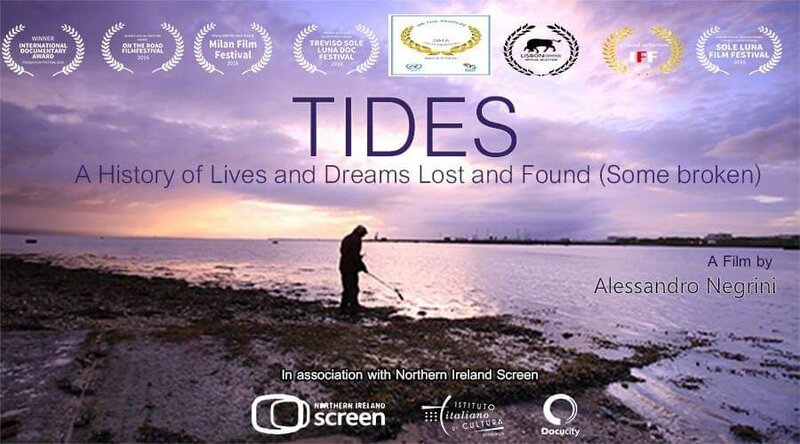 Tides, a documentary about the river Foyle in Derry by Italian director, and some time Derry native, Alessandro Negrini has gained yet more success; this time at the Gold Movie Awards in London where it won Best Documentary. “I hope that my film continues to infect people with the desire to listen to their forgotten dreams; to reserect what they have put away in drawers years ago and forgotten about. I hope that in my own poetic way I have helped to tell the story of some of the things that have been put in those drawers. That I have reserected forgotten dreams for people”. Tides has continued to make a big impression on audience’s across the world; this being the twelfth award it has collected. Negrini, together with his production team of Director of photography Oddgeir Saether, Editor Stuart Sloan, music by Chris Ciampoli and narration of Emma Taylor have won, among others; the main prize at A Film for Peace Film Festival in the United States, the award for best cinematography at the Sole Luna Film Festival in Palermo, the award for best documentary at the Malta International Film Festival, the award for best documentary at the Mediteran Film Festival in Bosnia, the best screenplay at The Tehran Film Festival, and The Parma International Music Film Festival. It can only be hoped that film festivals and awards in Ireland can take notice of this truely mezmorising film. 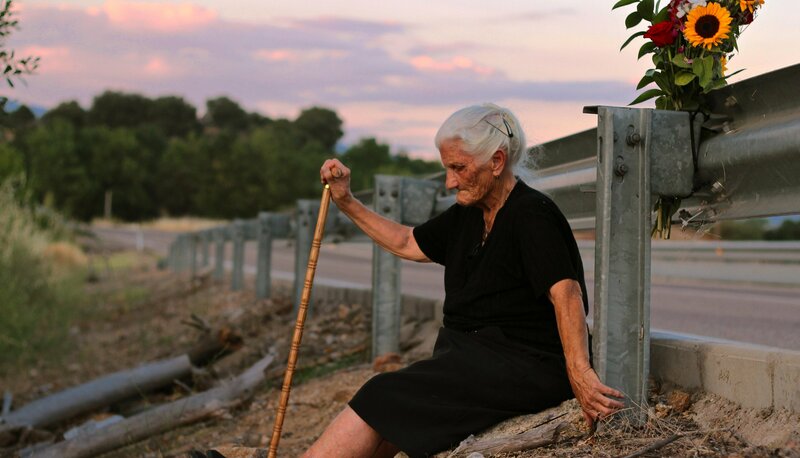 To read Culture Journal Ireland’s review of Tides visit https://culturejournalireland.com/2017/05/09/a-memorable-night-for-a-mesmerising-film-about-a-unique-river/ or follow the links via our archives. Filmworker tells the story of Stanley Kubrick’s right hand man. The world of film, just like every other, is filled with unsung heroes; those people who are there to help the main actor or, as in this case, the director. Leon Vitali, the subject of documentary, Filmworker, shown as part of the Foyle Film Festival, is one of those people. After staring alongside Ryan O’Neill in Barry Lyndon, Vitali gave up a career in front of the camera for one in front of it. Throughout the film Vitali remains forever humble; leaving it up to other contributors to expound his virtues. The lines on Vitali’s face, each one indicating the passage of time; but also so much more than that. They show experience, a life lived. Vitali is portrayed throughout the documentary as someone who has a thirst and ambition for what he does, however unlike the situation in most cases it is for the sake of the work alone, the finished piece rather than for satisfying his own ego or career ambitions. This is emphasised by his children who lament the fact that they didn’t see so much of him as they would have liked; although it has to be said that this is stated rather matter of fact rather than with any sense of bitterness. Filmmaker also keenly illustrates the sort of criticism that Vitali took upon his own shoulders regarding Eyes Wide Shut, Kubrick’s 1999 career finale, which the director died not long after making. Much of the criticism for the movie falling upon him rather than postumously on Vitali. Filmworker is about someone who could have easily had stardom at the other side of the camera but who doesn’t seem to regret it for one single moment. He doesn’t regret it because he got to work with one of the greatest directors of the twentieth century and as a result has become a part of cinematic history. This is one for Stanley Kubrick fans and general film fans alike. Although it would be suggested that if you are in any way a casual and unenthused cinema goer you leave this one alone. For the rest are you who didn’t get to see Filmworker as part of the Foyle Film Festival you can now get it in the usual formats from the usual sources.